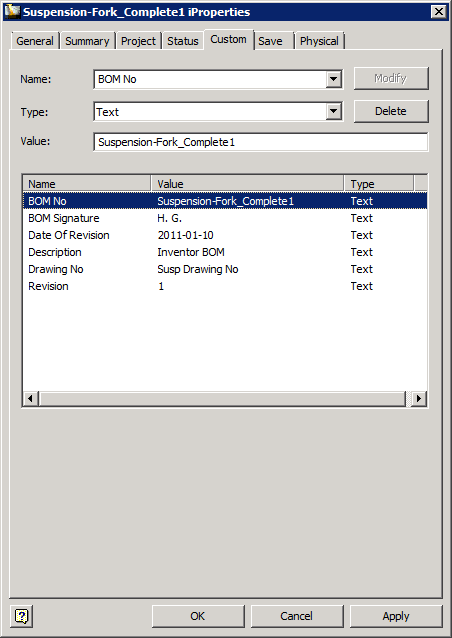 Inventor Integrator is a module to synchronize data between Autodesk Inventor and the Siqnal modules Bill Of Materials and BOM lines. 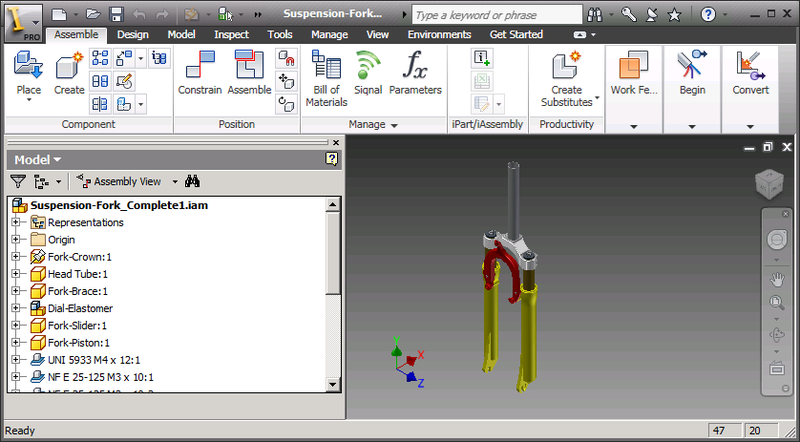 The procedure is that once AutoDesk Inventor is started and an assembly is loaded, the BOM from Inventor, including the Parts and Assemblies tree, can be copied to a new Siqnal BOM. 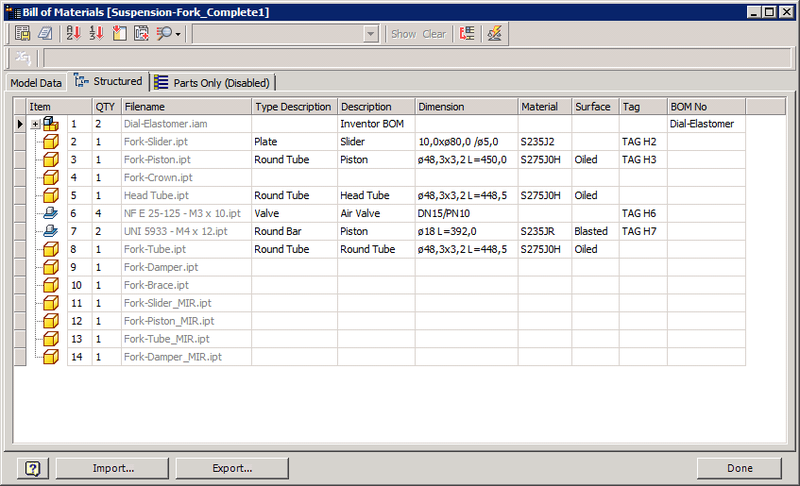 If it already exists from a previous transfer, it will be located automatically and updated. 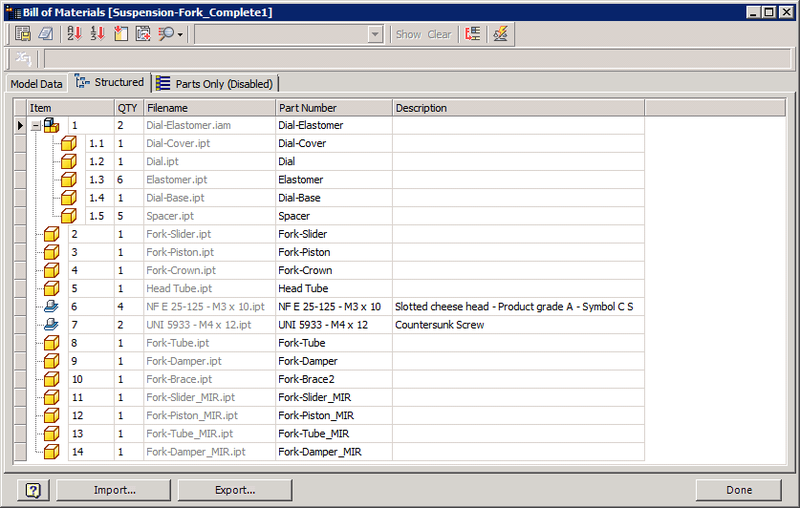 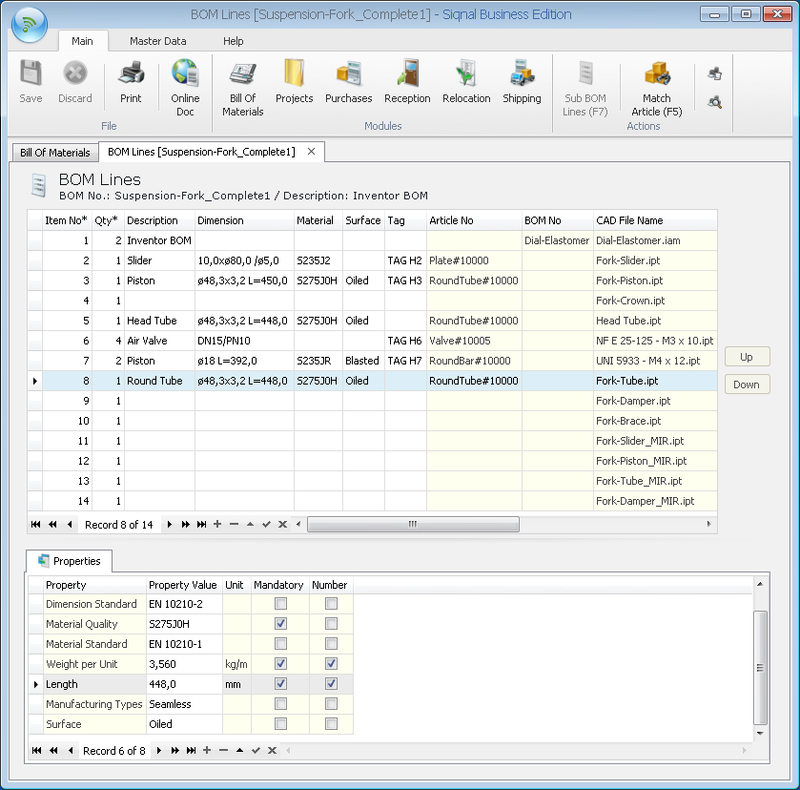 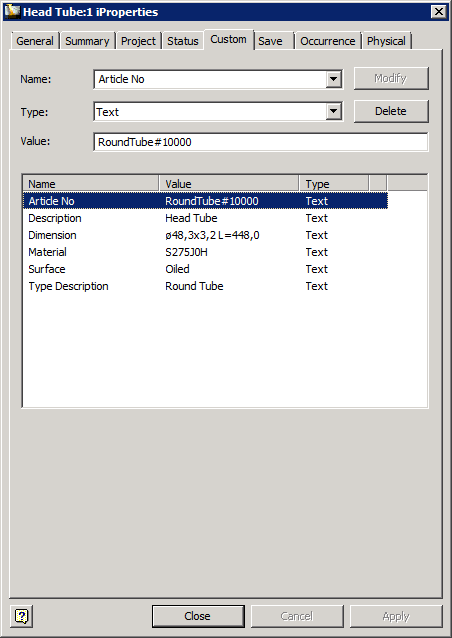 In Siqnal all parts must be matched to Siqnal articles, as shown further down this page, and once data are saved and Siqnal is closed, the BOM and BOM line data are transferred to Inventor's iProperties on the "Custom" tab.